Andrew Mitchell, he who thinks we should aspire to be an “overseas aid super power”, is the kind of Conservative that the BBC likes. 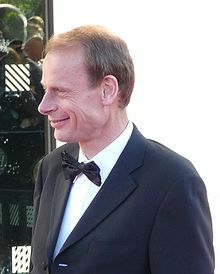 He got an easy ride on the Sunday morning horror that is the Andrew Marr show. Dripping wet, he is a C.I.N.O. in the proud tradition of Clarke and Patten, and the BBC love him for it. He was on Question Time earlier this week and up he pops again, much in demand. I also caught an odd interview with Simon Callow who was allowed to blabber on about the life of Shakespeare, claiming we know all the key details of his life. We don’t but Callow is another luvvie much favoured by the Beeb. Former Aussie PM Kevin Rudd was on and to be fair he didn’t quite give the answers that Marr was looking, which was quite entertaining. It’s just one big leftie love-in with no pretence to balance views! I refer to Andrew Marr’s programme this morning. We have – in the studio – Charles Kennedy (lefty), Rory Bremner (luvvie lefty), Suzanna Reid (Gorgeous and pouting lefty), plus Neil Kinnock (Has-been lefty) and Vince Cable. (Once much loved lefty but now hated since he joined the evil coalition) My, all that’s missing is Julian Assange and Moazzem Beggs and it’s the perfect balanced programme!. Sadly, Mr Marr’s outlook is patently shared by the entire £1bn leftist, moral relativist, elitist, eco-nut, anti-Jewish, anti-Christian, pro-Islam, pro-EU journalistic cadre at the BBC. It shows in the way they brook no dissent to their views and in how they so haughtily dismiss all those who dare to question them. This is the organisation that has today also astonishingly and disgracefully handed a leaving package worth £4.7m to Mark Byford, the soon-to-be-redundant deputy director general. Everyone who has met Mark will – I am sure – share with me the sense of sheer amazement that such a without-talent individual should be worth so much of our money. But then, nothing is surprising in the Mickey Mouse world of BBCland. 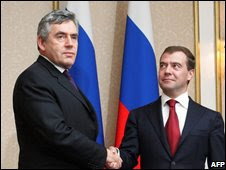 Comments Off on GORDON BROWN IS UNWELL.. Anyone catch Mark Mardell’s paean to Obamacare on the 1o news? Utterly utterly biased. Justin has a worthy successor. Anyone catch Andrew Marr “interviewing” out lamentable Chancellor Darling this morning? 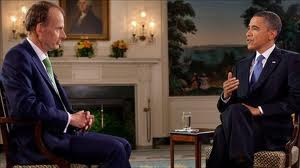 I think the thing that most struck me was the gentle treatment Marr afforded this wretch whose period of tenure in his role has been characterised by serial disaster and poor judgement. (Albeit overseen by McDoom) Darling even got to claim that he thought Labour “could” win the next election without Marr expressing much surprise! Yes, and Darling also sees green shoots of recovery wherever he goes! The main point here is that the BBC must know Labour is a busted flush and that it will be excised from power next June. So like good little comrades they go through the motions for McDoom and his followers but the strategic point for the BBC must be to box in Cameron in order that all our ever so vital public services – like the BBC – continue to escape the cold chill of economic recession and public accountability. Perhaps Cameron knows this since he wiggles around the subject, as in the interview Marr also carried out with him this morning. This worries me. Either Cameron is afraid of the BBC, or he is afraid to admit that the axe will have to be taken to the grotesque state sector, or he plans no such thing. Just spotted he who was Cat Stevens now Yusef Islam on the Andrew Marr show, giving us a song for a Sunday morn. Wonder if Andrew asked Yusef if he is still a profound anti-Semite and Hamas enthusiast? The BBC has never met a Jew-hater they didn’t like. Sunday Matinee: starring Marr, two Labour stooges, and a Tory punchbag.